"She believed the city is not about buildings, the city is about people." Need a good doc to rile you up and inspire you to get out there and fight back? Try this one. 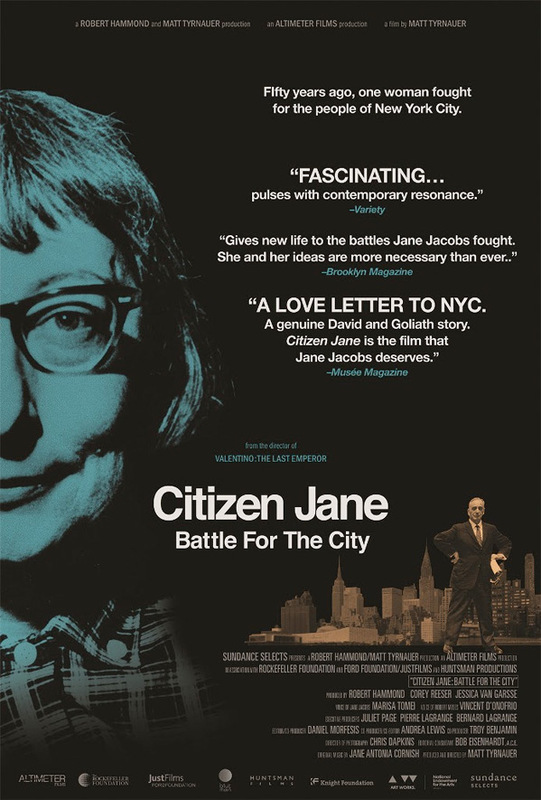 Sundance Selects has debuted a trailer for a documentary titled Citizen Jane: Battle for the City, profiling the activism work of Jane Jacobs. Jacobs fought to save historic New York City during the ruthless redevelopment era of urban planner Robert Moses in the 1960s. The doc focuses on construction kingpin Robert Moses' plan to raze lower Manhattan to make way for a highway. This seems like the perfect doc for the times, showing how passionate activism can actually make a difference. This also reminds me of another great battle of wits doc - Best of Enemies, which I also highly recommend seeing. Citizen Jane opens in NYC later this week, then LA next week. Take a look. Citizen Jane is a timely tale of what can happen when engaged citizens fight the power for the sake of a better world. Arguably no one did more to shape our understanding of the modern American city than Jane Jacobs, the visionary activist and writer who fought to preserve urban communities in the face of destructive development projects. Director Matt Tyranuer vividly brings to life Jacobs’ 1960s showdown with ruthless construction kingpin Robert Moses over his plan to raze lower Manhattan to make way for a highway, a dramatic struggle over the very soul of the neighborhood. Citizen Jane: Battle for the City is directed by filmmaker Matt Tyrnauer, of Valentino: The Last Emperor previously. This first premiered at the Toronto Film Festival. Sundance Selects will open Citizen Jane in select theaters starting on April 21st.